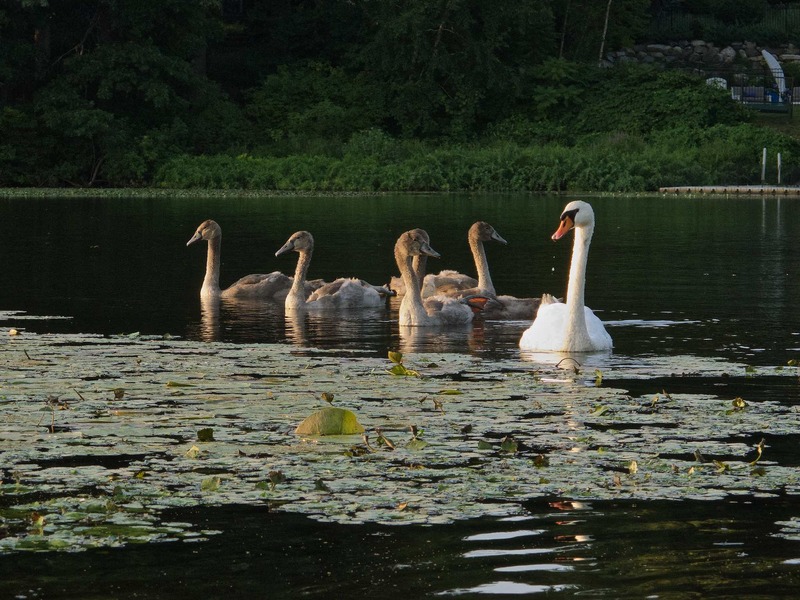 I was kayaking downstream on the Charles one Saturday evening this past July when I came upon a family of swans. 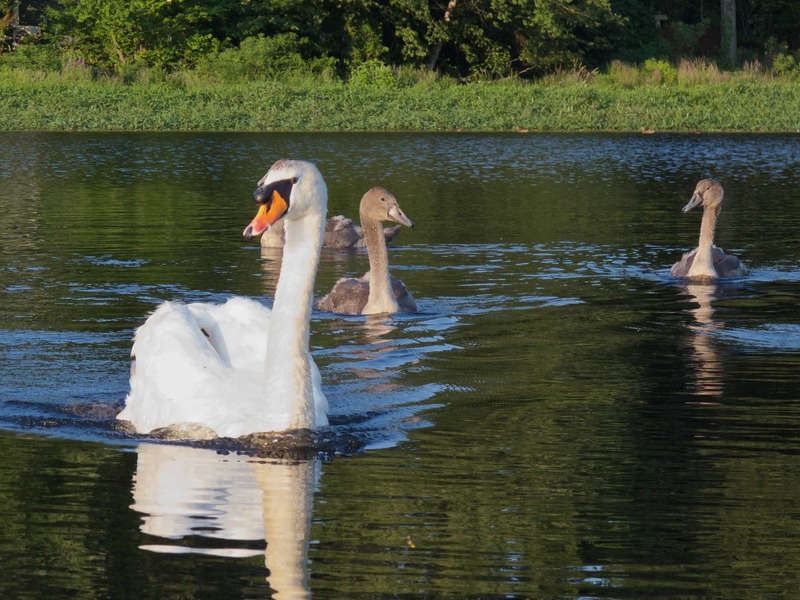 Papa Swan was not at all happy to see me; whenever I started to get close, he’d paddle rapidly toward me, and start hissing, while the mother stayed close to the younger ones. Papa Swan to the defense. Note the bow wave on him.